This morning I read an article about the world’s most expensive photo sold in a photo auction, so far. 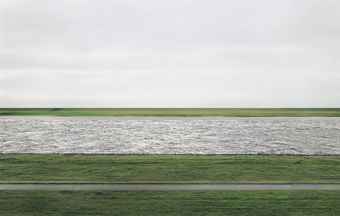 The picture is taken by Andreas Gursky. It’s a really great image, but is it really worth $4,338,500?? For more information on this, clich here! I don’t know, I think it’s too much!!!!! haha.. me 2! 🙂 But it’s a great image! I like this image, but I go for abstracts like that and I can appreciate the time and the effort that goes into taking/composing a shot like that. And the dull colors, to me, evoke a certain mood. I like the lines and textures and different levels in it the image too. I can see what the artist saw in this.